What is an National Benchmark Test (NBT) and do I need it? 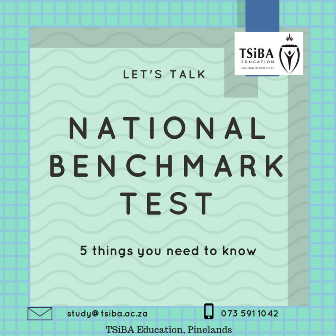 As we hit the mid-year landmark, there is a lot of talk about the National Benchmark Test, which is often confused with National Senior Certificate (Matric Certificate). Their name similarity might in fact wrongly prompt you in believing that they are the same thing; however, they are different and, we have compiled the 5 most important things to know about the NBT. For any doubt, always refer to the Insitution where you’re applying. 1. What is an NBT? The NBT is a university entry exam that tests students’ readiness for academic studies. Because it is not a school exam, the NBT does not test students on any curriculum-related material, but it tests students’ ability to apply their knowledge to problem-solving and real-life scenarios. 2. How many tests are in the NBT? The NBT consists of two tests, Academic and Quantitative Literacy (AQL) test & the Mathematics (MAT) test. While all test takers need to write the AQL test, your University and faculty of choice will determine whether you have to write the Math one to; this test is usually taken for programmes where Mathematics is a requirement (such as Health Sciences, Engineering, Accounting, and most of the sciences). To apply for a Bachelor’s degree in Business Administration at TSiBA, both tests need to be taken; they are done on the same day and take 3 hours each (take snacks to keep your energy level up!). 3. What is the format of NBT exams? The NBTs are multiple choice tests, where answers are recorded on a ‘bubble sheet’, handed over before the test. The answer sheets are scanned and then translated into scores using smart computer programs. While no studying is required for the AQL test, brush up math concepts that you find difficult before taking the Math one. There is no actual failing of the test. But if you are not satisfied with the percentage, you can re-write the test up to two times. 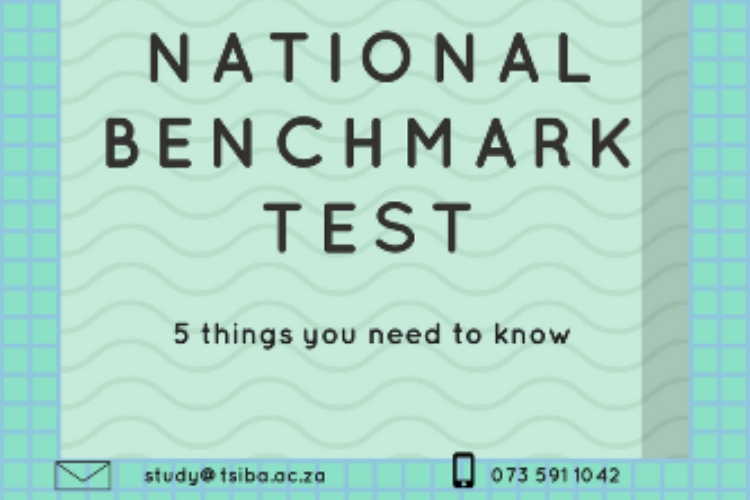 The NBT tests can we written in either English and Afrikaans as these are the official media of instruction at South African Universities. Check with your Institution of choice before taking the test, as individual language policies might apply. 5. How long does it take for test results to be released? Don’t be impatient (Try not to) as it takes 3 weeks for the University where you have applied to obtain your results, while an extra week is needed for the results to be published on the website. Registrations for the NBT are online and can be done at this link. For any questions on registrations at TSiBA, please contact us on study@tsiba.ac.za or WhatsApp us on 073 591 1042. Should you have further questions on NBT, check their Frequently Asked Questions (FAQ) section.